The world’s largest social networking site Facebook launched a new type of accounts for the public pages of brands, companies and celebrities. 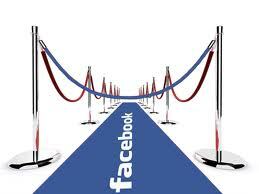 The new tool will allow Facebook Pages to submit information about themselves in a dynamic manner. Administrators of Facebook Pages now can add a main head image, which is considerably larger then profile photo. In addition, starting from Wednesday, Facebook Pages will be able to place information in the form of timeline, which allows to highlight significant events or hide some of the posts. Facebook also updated the control panel page. Now it contains the most important tools and statistics. With the help of control panel page administrators can send messages to the page subscribers and other users. The new format of public pages also allow subscribers to learn about the activities of their friends. In order to make the Pages service more social, Facebook developers added a special feature. Now, when a user visits the page for the first time, it displays the related actions of his friends. For the first time a new format of Facebook Pages was introduced to the public in mid-February 2012. On March 30, 2012 it will become mandatory for all public pages by default. 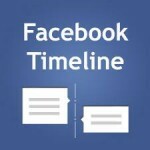 “Timeline” for personal profiles became available for all users at the end of 2011. Categories: Facebook Advertising, Facebook News.